Joyetech eGo AIO Mansion Starter Kit with portable size and you can take it anywhere you want to go, which powered by built in battery with 1300mAh capacity. Equipped with 2ml e-juice capacity, the Joyetech eGo AIO Mansion can satisfied with your daily vaping. It can compatible with 0.6 ohm SS316 BF coil that bring wonderful flavor and produce large vapor production. 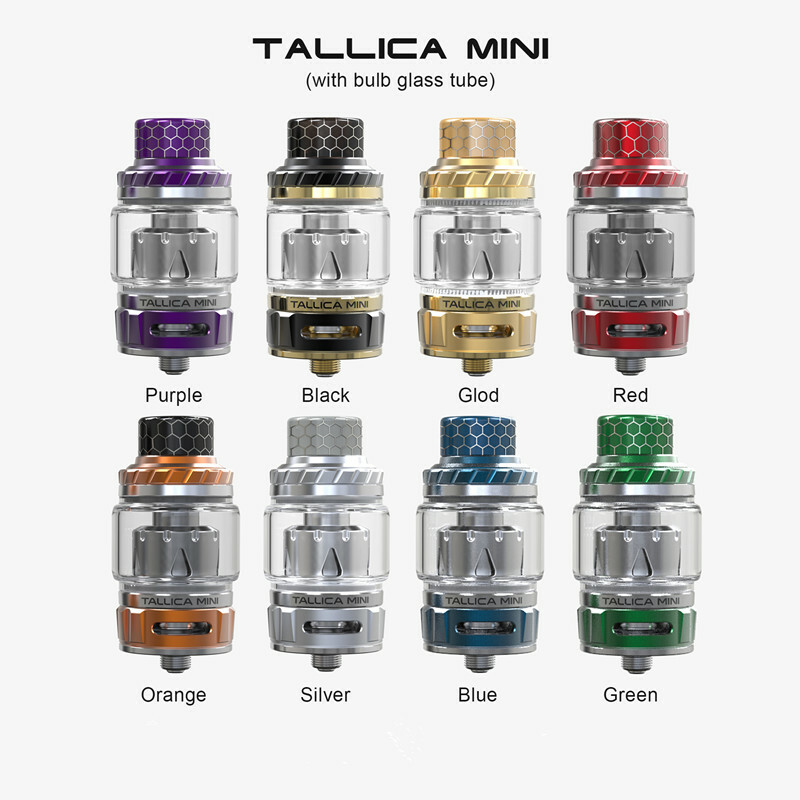 Teslacigs Tallica Mini Tank Atomizer - 4ml is a latest version that takes the tank to new level. 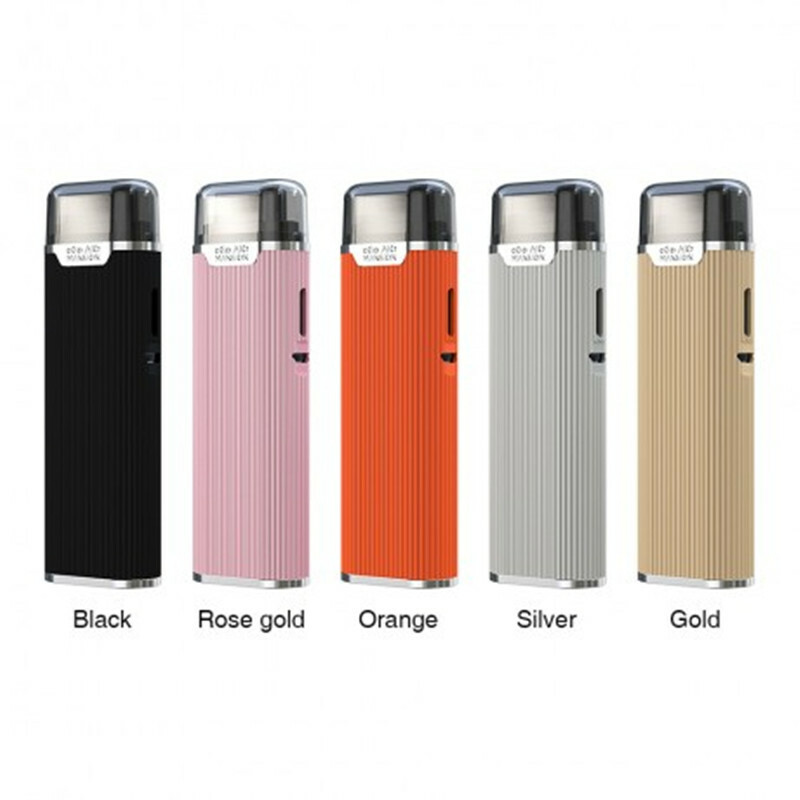 It adopts the unique design will bring a pure flavor and an easy operation to you. Tallica Mini features convenient slide refilling design, plug-and-pull coil replacement and adjustable triangular airflow, delivering good flavor. It has large airflow slots on the base will satisfy any cloud chasers and let you taste flavors like never before. 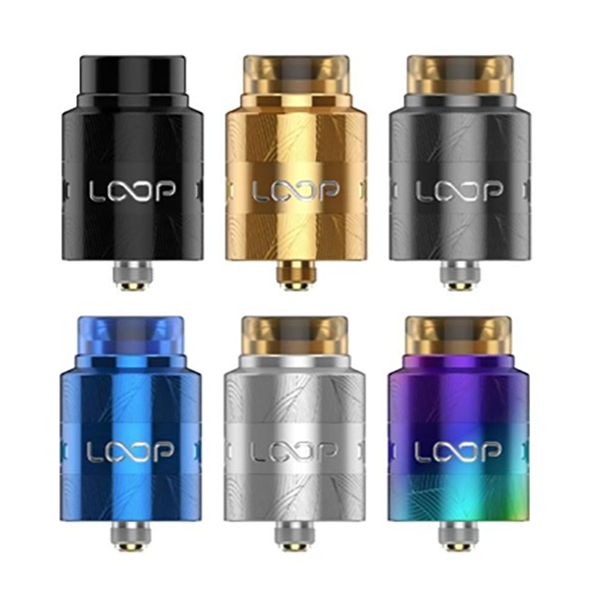 Geek Vape Loop V1.5 RDA is the updated version of the Loop RDA, it features an innovative "W" shape build deck that allows building single coil or dual coils, it adopts surround airflow system, the airflow enters through the bottom and transfers from side to the bottom. With a top-filling system, it is very easy and convenient to direct dripping from the mouthpiece without leakage.